CRAIN’S has a story about Matt Pomerantz and his brother Adam who started Murray’s Bagels together and are now competing against each other! The dream of becoming a bagel mogul began for Matt Pomerantz when he and his brother, Adam, were working in finance after college. Both were living in Greenwich Village, and both hated that on weekends they couldn’t find a decent bagel nearby. 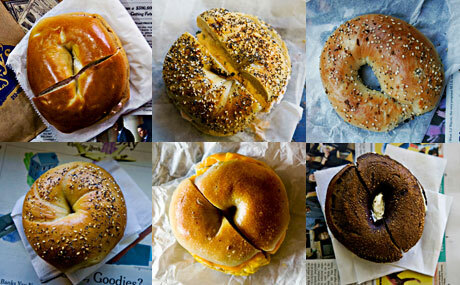 Sure, there were bagels; it was New York City, after all. But not the kind the Pomerantz boys had eaten as kids while hanging out at their dad Murray’s clothing store on the Lower East Side: hand-rolled, kettle-boiled, crispy on the outside, soft on the inside. In 1995, the brothers converted a pottery shop on Sixth Avenue, between West 12th and 13th streets, into a bagel bakery. 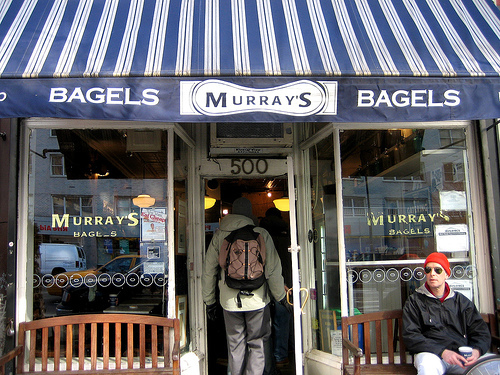 They named the store Murray’s Bagels. “Opening a store that made bagels the way my father remembered them was something I wanted to do for him,” Matt said.  In 1999 Matt opened a second Murray’s Bagels on Eighth Avenue, between West 22nd and 23rd streets. Seven years later, after making a success of his Chelsea store, he started an entirely new franchise, Zucker’s Bagels & Smoked Fish, which has stores in TriBeCa and near Grand Central, plus a third on Columbus Avenue that opened in December. 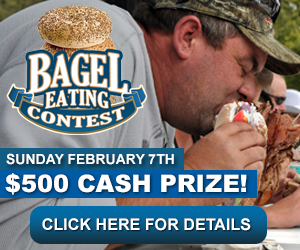 Adam, meanwhile, started Leo’s Bagels in Hanover Square in the financial district in 2008. Zucker is their mother’s maiden name; Leo is their great uncle.